Opal is the blood of the earth. Despite the many popular myths, it is actually a stone of honor. It presents itself to those who have truly experienced sacrifice and promises light at the end of the tunnel. The most stable opals are mined in Australia. The best quality opals contain red fire, though opal comes in a vast color range. Because the color range is extensive and all stones are unique, opal should be selected by the wearer in order to create a harmonious union. Opal can also be found in the USA, Mexico, Brazil, and British Honduras. Rose Quartz originates from the USA, Brazil, and Madagascar. 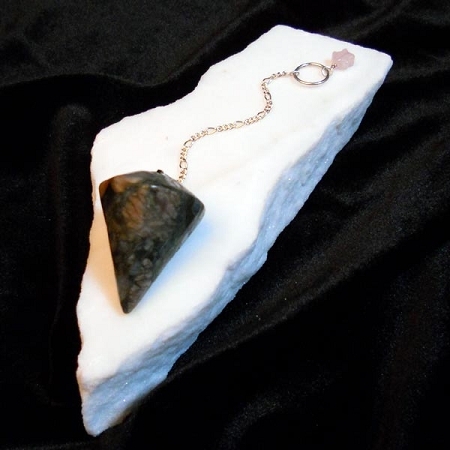 Indisputably, this stone soothes the heart through self-forgiveness, acceptance, and surrender. Rose Quartz is the love stone of the ages.